The search for the country's 2017 culinary superstar continues. The second group of chefs create a three-course fine-dining menu at the Institution of Civil Engineers. Knockout week continues on MasterChef: The Professionals. Chef Monica Galetti and Michelin-starred chef Marcus Wareing scrutinise the chefs' every move in their bid to uncover the professional chef to crown culinary superstar of 2017. Tonight, the second group of five chefs face two intense challenges set by Monica and Marcus. The chefs must cook together for the first time as a team to create an exceptional three-course fine-dining menu at one of London's most prestigious addresses, The Institution of Civil Engineers, to celebrate the organisation's bicentenary. The chefs have two and a half hours to collaborate as a team to design and cook their special menu, which will be served to Lord Robert Mair, the president of the institution and his five VIP guests. The chefs' every move will be watched over by judges Monica and Marcus. Will their creative vision and talent shine through? Or will team playing prove to be their weakness? With the team challenge behind them, the five chefs return to the MasterChef kitchen where they face the judges as individuals once again. Pitted against each other, they battle it out for a place in the semi-finals by proving to judges Monica, Marcus and Gregg that they really are a cut above the other chefs. Within 90 minutes, they must create their own unique showstopper dish to prove their talent and dedication to deliver at the highest level. 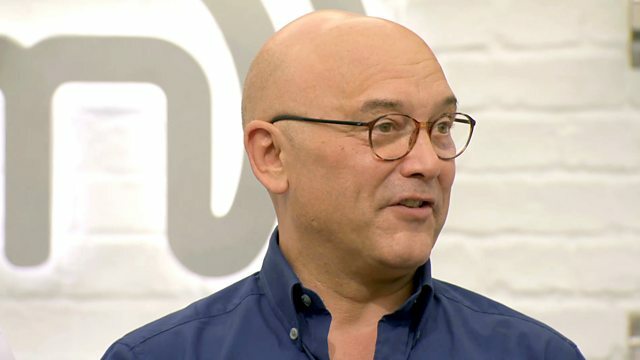 After tasting the dishes, Marcus, Monica and Gregg decide whose time in the MasterChef kitchen is up and which four chefs will move forward in the competition - one giant step close to being crowned MasterChef: The Professionals winner 2017.